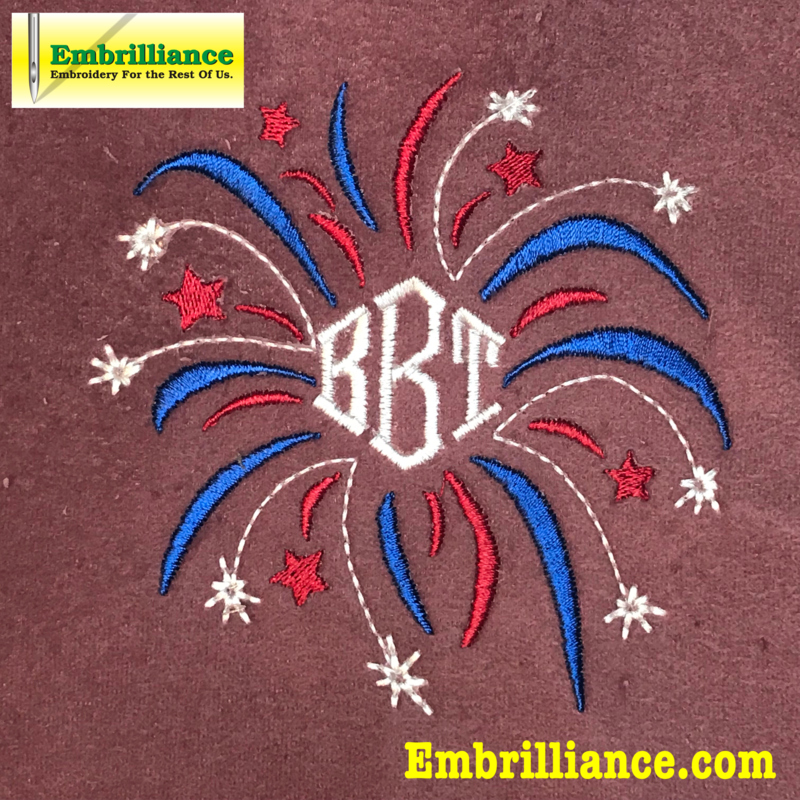 Let’s celebrate our Independence in style with a free patriotic splash frame suitable for monograms or single letter initials. Suitable for home decor items or a beach or picnic tote, we hope that you enjoy adding some celebratory embellishment with this design. Contained in the zipped file is the Patriotic Splash BE working file. It was digitized by Jim using StitchArtist and can be opened into the Embrilliance platform for customizing. 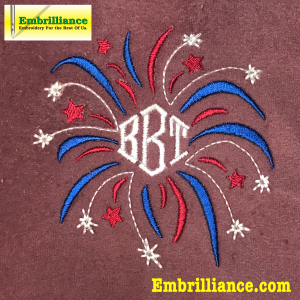 Also included in this zipped file is a PDF with instructions written by Lisa Shaw on how to add and place a monogram using Embrilliance Essentials. You will also see how to use the palette feature to change the monogram to an existing color in the design – easy as apple pie! We hope that you have a safe and happy holiday! Posted 10 months ago at 1:42 pm.